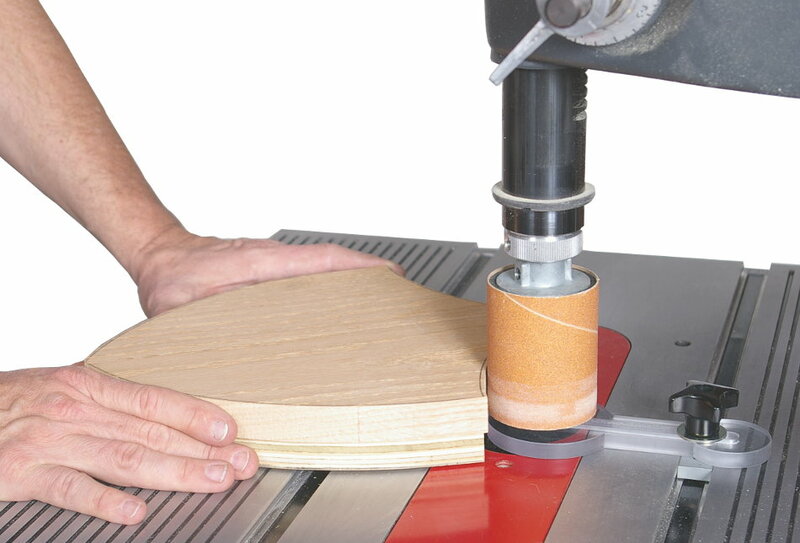 This simple 3-piece package (and a set of our Shopsmith drum sanders) is all you need to save loads of time by drum sanding multiple projects or components to the exact size and shape. 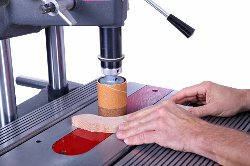 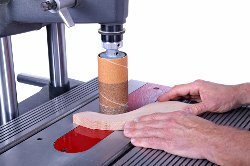 If you don't yet own a 6" high drum sander or any of the optional drum sanding table inserts or vacuum attachments then you are doing things the hard way! Identical Project Components To the Exact Size and Shape a Snap! 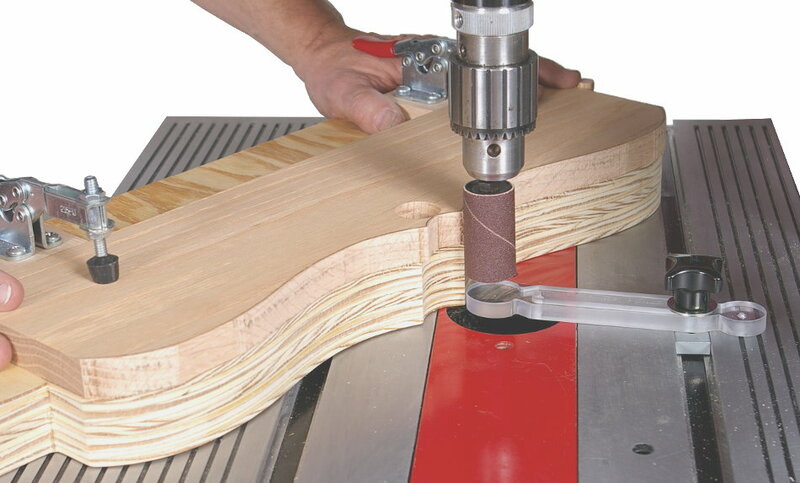 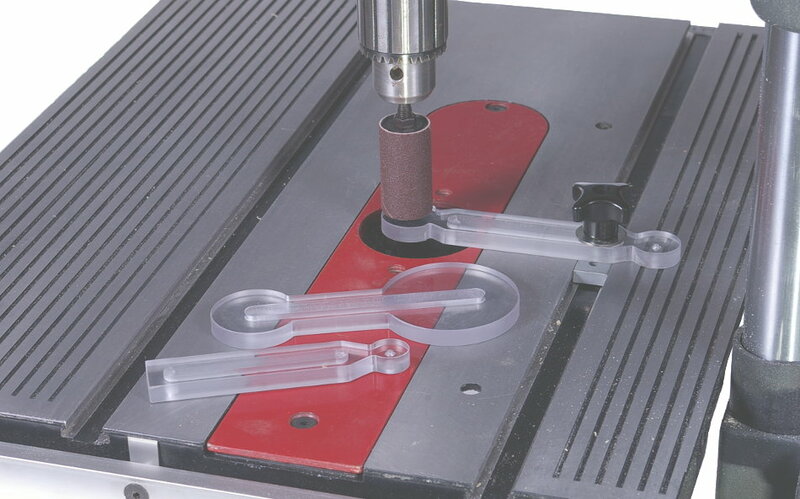 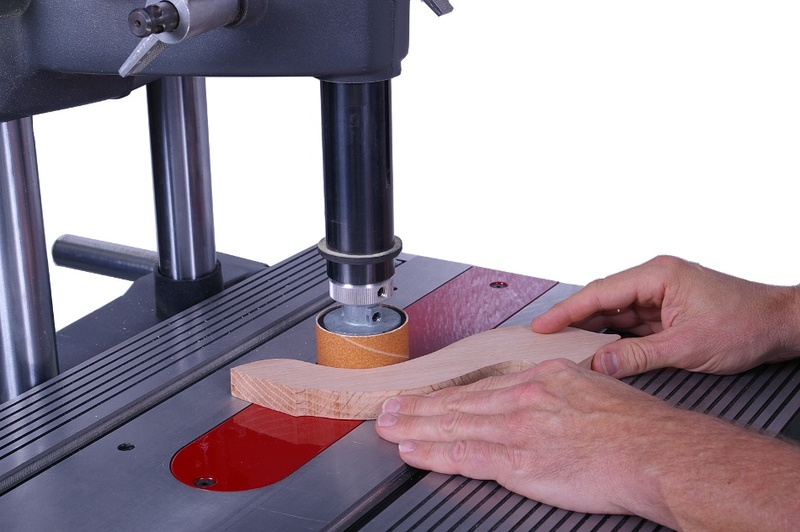 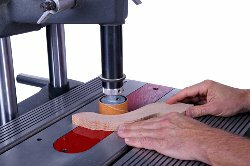 Just insert the appropriate sized guide into your Mark V or Mark 7 worktable miter gauge slot... align it with the Shopsmith drum sander size of your choice (2-1/4"... 1-1/2"... 1"... 3/4"... or 1/2")... tighten the clamping knob and your ready to go. 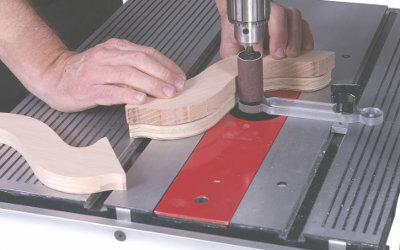 By attaching a shop-made pattern to the bottom of your workpiece (the included instructions tell you how to make and use these patterns) and then rotating your pattern/workpiece against the guide, you'll be able to sand as many projects or components to the same exact size and shape as you like -- and do it much, much faster than if you were doing them one-by-one. 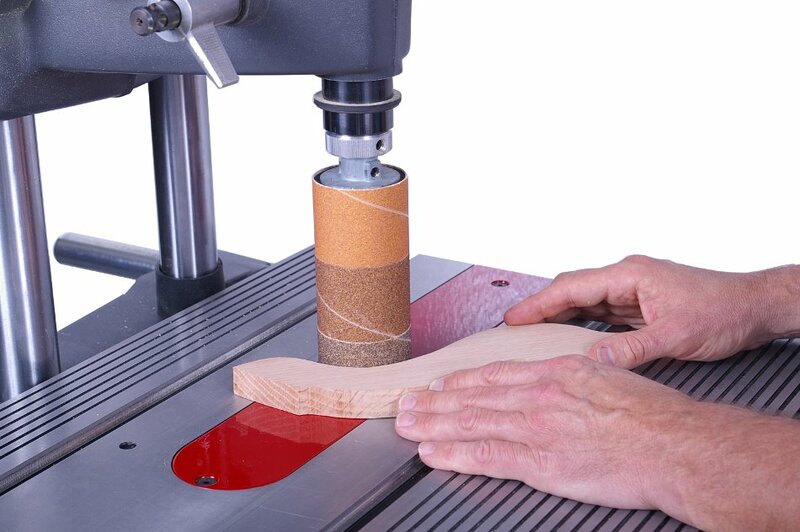 A real time-saver! Note: For Shopsmith Mark 7 and Mark V Models 505, 510 and 520 only. If you already own our 6" high drum sander, all you need to get started is a package of our assorted Multi-Sand Sleeves.556253 plus... (if you want dust collection capabilities) ...a drum Sander Vacuum Attachment..555168 and our Drum Sanding Vacuum Attachment Extender & Bolts 556268. 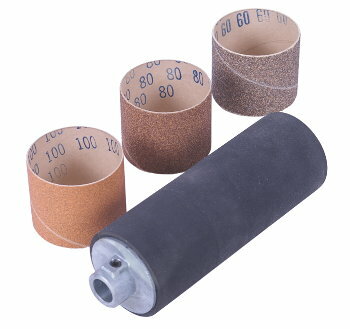 Don't forget it is easy to clean your sanding sleeves with this item! 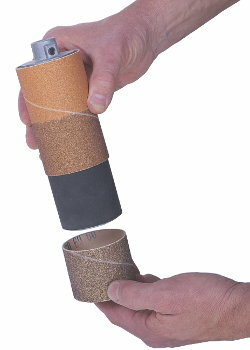 Abrasive Sanding Stick Make Your Sandpaper Last Four Times Longer ! 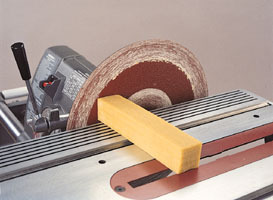 Just hold this special stick against moving belt, disc or drum and watch as they're cleaned to as-new condition. 1-1/2" x 1-1/2" x 8" long. A real money-saver !